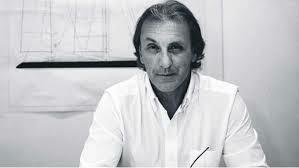 Philippe Briand is one of today’s most prolific yacht designers, with over 12,000 of his vessels sailing on the world’s oceans. His designs span all manner of boats and yachts, from high performance racers like S/Y Mari Cha IV (monohull transatlantic world record holder in 2003) to smaller production boats with Jeanneau and Sun Odyssey and opulent superyachts like S/Y Vertigo and M/Y Exuma, both on display at this year’s Singapore Yacht Show. The son of an Olympian sailor, Briand has racing in his blood and is the only yacht designer to also have a stellar career competing on the water himself. As helmsman he won several World Championships, including the Half Ton Cup and the One Ton Cup in the 80s, also competing in the famed America’s Cup and designing eight yachts for its teams between 1986 and 2000. Although most known for his high-performance, thoroughly modern yet comfortable sailing designs, Briand has recently moved into the world of motoryachts, collaborating on the Vitruvius® Yachts brand of explorer motoryachts with Perini Navi. Exuma, the first of the Vitruvius® Yachts launches, on display at the Singapore Yacht Show with Perini Navi, proved highly popular and has been followed by two further new builds and a refit at the La Spezia facilities in Italy. 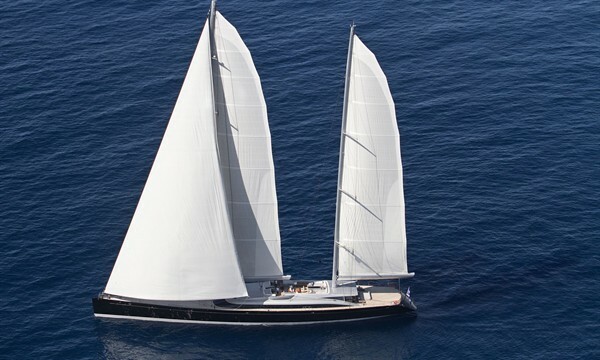 Despite his recent involvement in the motoryacht world, Briand has continued to work on sailing yacht design and has a number of sailing projects in build and on the drawing board, including a 70m Perini Navi ketch, expected to be launched in mid 2015. One of Briand’s most celebrated launches in recent years is Vertigo, which has won multiple industry awards and widespread acclaim. 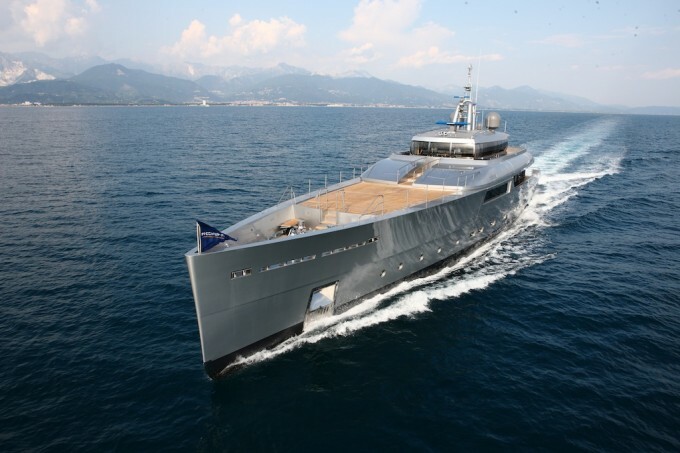 Vertigo will also be on display at the Singapore Yacht Show with Alloy Yachts and Y.CO. What is luxury to you as a designer? Luxury is an art of living, it is inessential and conducive to pleasure out of the ordinary allowed to oneself. Yachts are true luxury products because they are created exclusively for the owner, to satisfy his personal criteria and to surprise his guests. We only design bespoke superyachts, as true luxury is reflected by scarcity. To have a unique creation is of extreme value in the upper echelons of the luxury goods market, which is only accessible to the ‘Happy Few’, those in the superyacht market. If somebody is interested in buying a sailing yacht, but has limited experience what are your recommendations when viewing and discussing options? Those who would like to own a sailing yacht but have a lack of sailing experience should not be worried at all. Yachting should be worry-free at all times! The pleasure and the luxury of owning a yacht, be it sailing or motor, is to enjoy it and spend time on board with friends and family. Superyacht owners are surrounded and assisted by a dedicated crew that manages everything, from the sailing to the hotel services. If the owner would like to get involved in the sailing of the yacht, all they need to do is ask – but it is by no means a requirement to understand how to sail if you simply want to enjoy the pleasure of sailing. What advice would you give to someone worried about getting seasick? Again, being on a yacht should just be enjoyable. Today’s motoryachts are equipped with very sophisticated stabilisers that prevent the vessel from rolling and pitching; you should be able to put a glass filled to the brim down on the table while cruising and at no point it should spill. The yachts are never exposed to nasty weather if those storms are predictable. On longer crossings, when you run the risk of hitting a storm, in general the owners are not on board. Technically speaking, we need to design all yachts to be fast enough to outrun the weather and all yachts are of course built to be extremely safe. Of which of your yachts are you most proud? This is like asking me which of my children I am most proud of … I am proud of all of them, for different reasons! What is your favourite place on M/Y Exuma and which design elements are you most proud of on her? My favourite place on the yacht is certainly the foredeck, overlooking the sea in total comfort, as the yacht is very stable. Saying that, Exuma is much more than just a leisure yacht. One can spend the most memorable time using the hovercraft to land on a deserted beach or climbing on board the amphibious car to go to a Pacific island and drive the car on the beach to go exploring. It doesn’t get much more exceptional than that! How would you define S/Y Vertigo’s exterior aesthetic and what was your greatest inspiration when designing her? I had the privilege to work with a very young and astute owner who supported my approach from the start. I presented him with a number of sketches and he adhered to a very pure design theme. I have always admired [Spanish architect Santiago] Calatrava and I love bridges. I like to see one very well defined line in a design. On Vertigo, the superstructure looks like a bridge suspended in the air, with big glass surfaces. If you were to create a design for a sailing yacht specifically for cruising in Southeast Asia, what design elements you would add? Vertigo was designed specifically to explore the beautiful waters of the Pacific. We created a beach club at midship with wide doors opening to the seas. This feature is exactly what you need for tropical waters but one would not want to have a big open area like this for cruising around Northern Europe. 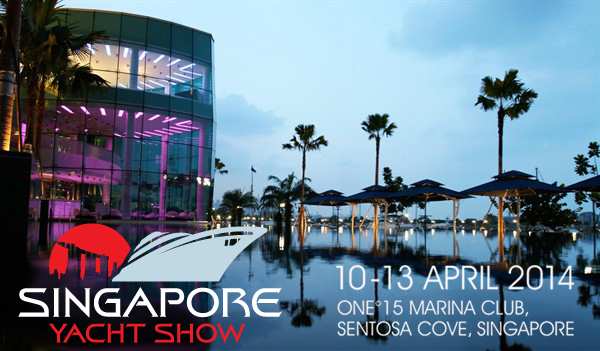 What are your expectations for the Singapore Yacht Show? We expect to meet a select group of people that are in search of exceptional goods such as large yachts. We believe Singapore is the ideal location to meet these potential clients. Philippe Briand will be available to meet with visitors at his exhibitor stand during the Singapore Yacht Show. To be guaranteed an appointment with the designer, contact Philippe Briand Yachts in advance: yachts2@philippebriand.com.